The question raised by Robert Priddy in his recent post of January 20, 2012, whether praying to Sathya Sai Baba (or God for that matter) can be effective, is a highly interesting one, in my view. Mr. Priddy deals with this subject in an astute manner, and has some notable remarks concerning the practices followed and testimonies given by Sai Baba devotees, to convince themselves and others of the miraculous nature of their personal God(man). In short, he who prays earnestly to the master gets his prayers answered. If not, it is through his own lack of faith or some karmic trouble. to indirect ‘proof’, whether through prayer, dreams, premonitions, contact with VIP-devotee-clearvoyants like Phyllis Krystal, and other, sometimes all-too-primitive supposed channelers and channelings of the master. The use of the three pieces of paper mr. Priddy refers to, which I too remember well, is a typical example of the latter: a crude form of divination. Being unavailable is one of the devices cult leaders use in order to gain an ever-increasing aura among their believers, by the way. Especially when their followers are cooped up in primitive dwellings, and are deprived of contact with the outside world their whole day revolves around the master. Not seeing him, not being able to come into close, personal contact with him, makes people anxious, which in turn serves as an incentive to listen to tall tales and boosting the master’s omnipotence through any number of stories heard through the grapevine. It also hides the master quite effectively from any altogether too inquisitive a view from people who are a bit more sceptical. 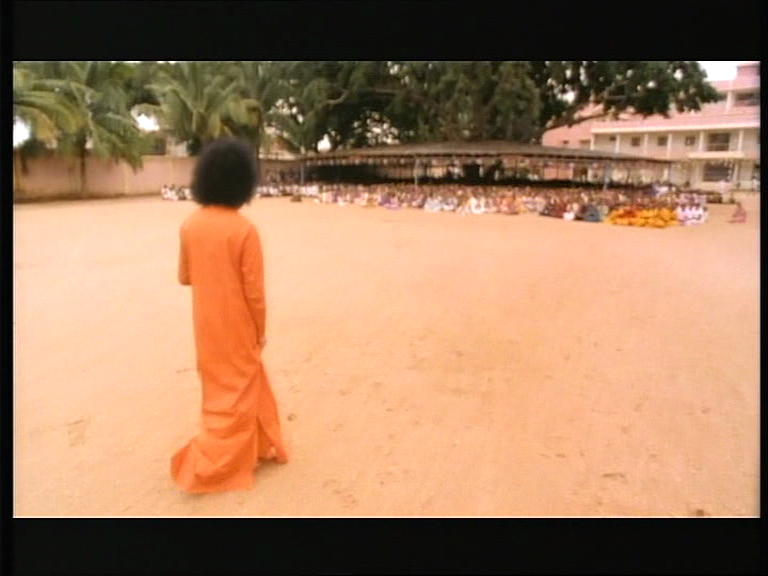 If a master at all, Sathya Sai Baba certainly was one in this respect! He pulled off the most unlikely feat: not letting himself get caught for the massive fraud, deception and abuse he was involved in during sixty odd years. Instead, he managed to achieve an enormous following and influence the world over, culminating in a state funeral, with full honours, and very few awkward questions asked even after his demise. The whole issue of whether praying to a personal God is even feasible, let alone effective, has been hotly debated inside and outside the scientific community for well over 140 years. Wikipedia provides a rather extensive and well-informed expose concerning this topic: the efficacy of prayer. In a debate/interview in Newsweek with Christian evangelical Rick Warren, atheist Sam Harris commented that most lay perceptions of the efficacy of prayer (personal impressions as opposed to empirical studies) were related to sampling error because “we know that humans have a terrible sense of probability.” That is, humans are more inclined to recognize confirmations of their faith than they are to recognize disconfirmations. visited my alma mater, the University of Groningen, just a fortnight ago (January 12 and 13, 2012). He stayed here for two consecutive days, entering into public debate, giving lectures and appearing as the guest of honour for the opening of the new Biology Building of the University, named after famous Swedish botanist Carl Linnaeus. 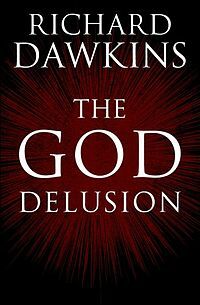 In his writings (of which the most controversial is his 2006 bestselling book, see picture below), Dawkins claims the ‘God Hypothesis’ is fallacious. 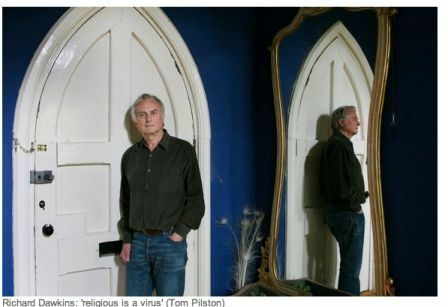 In fact, he depicts people who believe in a personal, compassionate God as being delusional. Whichever way your outlook on this complex question, suffice it to say that I agree with Robert Priddy that Sathya Sai Baba took advantage of many well-intentioned (but perhaps too gullible) people, people from the West and the East, the North and the South, people from all walks of life, from highly educated to illiterate. Did he answer prayers while alive? I don’t think so. It certainly has not been my experience. He very often broke promises he made in direct contact, that I do know, for sure, first hand. If he is to answer prayers right now, he has had to have been some kind of supernatural being, an otherworldly entity, transgressing the laws of nature. He certainly claimed to be just that, a deity, a supernatural being, nay more: he assured everyone willing to listen he was the highest of the high, the guru of all gurus, master of all masters, god of all gods, king of kings, the centre of the universe, with the whole of creation resting in his almighty palm. master was still walking this earth, or did they not? His staunch believers will, I am sure, always see some proof beyond doubt of the divinity of their late master though, and of him answering prayers even from beyond the grave. It has ever been so: voluntary questioning your innermost belief system is rare. If you have allowed yourself to become brainwashed, it is even harder to really familiarize yourself with opposing information. You’d rather vilify the messenger. Many who harbour doubts rationalize these thoughts away. I am afraid the bottom line is that many of them secretly think themselves unable to confront the harsh truth, and live another day. Below I have posted a copy of the formal announcement of Sathya Sai Baba’s death. It was published widely in India on the very day of his demise, April 24, 2011. To my knowledge, it is the only official document issued by the Sathya Sai Baba Organisation announcing the ‘physical leaving of the body’ of their Chairman, Sathya Sai Baba. It also is the sole source as to the cause of death. 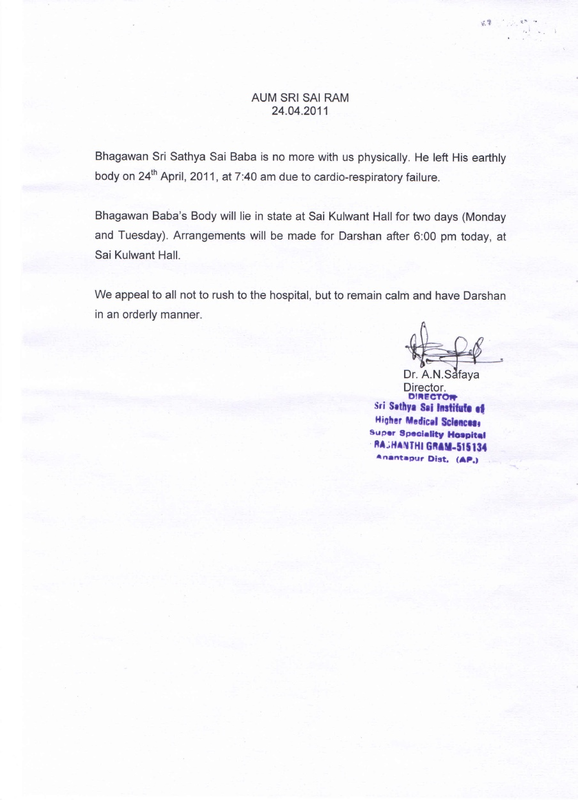 The letter bears the signature of Dr. Safaya, the director of the Super Specialty Hospital where Sai Baba was treated and kept on life support during his last weeks on earth. The good doctor has since handed in his resignation. Not producing a death certificate is in strict violation of Andrha Pradesh State regulation, Indian law, and international rule. For more background information, look here or here, for instance. Survivors ‘Move On’? But Abusers Move On – From Victim To Victim. And Must Be Opposed, Barry Pittard wrote on his weblog on December 23, 2011. He said there: ‘Tediously, phrases emerge from the mouths of those who could, but do not, speak out forthrightly about their experiences of spiritual and moral betrayal. Often, one hears them say, “I am moving on, now”. But the abusers, the criminals, the bullies, don’t move on. They thrive in the knowledge that their victims will, most often, move on. Essentially cowards themselves, they understand that other cowards will protect them – by preferring the easy way out. By shutting up. By not calling a crime a crime. By leaving undefended the abused. By abandoning any shred of self-respect. Reacting in said manner seems a rather crude defense against unwelcome news, I find, but the sad thing is: it works. It’s like saying: ‘War is over. Let bygones be bygones. The past is the past’. This special kind of non-responsiveness is akin to a phenomenon known in the field of social psychology as the bystander effect. Everyone sees something is awry, but no one acts, thinking the others will do it for them. Alas, most people tend to conformity in times of crisis, one way or the other. It takes courage, self-respect, real empathy and a willingness and capacity to endure loneliness to take a stand instead of remaining a silent bystander. The examples Barry Pittard gives further down his entry of men and women who have done so speak volumes. And yes, one of the sad and dangerous results of this subconscious conspiracy of silence is the fact that the real culprits DO move on, and are able to, because the majority thinks their position is neutral. A topic of considerable interest is the quite typical, vitriolic and condescending set of dynamics which mr. Pittard and mr. Priddy describe in their posts of January 6, 10, 16 and 19 respectively, and encounter from people like Michael Hollander, a man who himself has a vested interest in remaining a staunch believer in Sathya Sai Baba, even if his vested interest is ‘merely’ ideological and self-enhancing in nature. It seems so sine qua non of cult development and cultish behaviour, no matter the cult or the size of it, once it develops into some type of hierarchical organisation. Here in the Netherlands we just witnessed one week of nationwide broadcast on the issue of cults and cultish behaviours, 24/7 documentaries and reruns, concerning various religious movements both of domestic significance and of international importance. Under the general header VERLICHT OF OPGELICHT (A rough translation of this punlike title would be something like: ‘Enlightened or Made Light’) several of the largest national Dutch broadcasting companies (NTR, VPRO, IKON, NCRV, KRO) joined hands in this major undertaking, which was aired for a whole week on HOLLAND DOC 24, between January 7 and 13, 2012. This marathon attracted quite a bit of attention, albeit mainly on the internet. 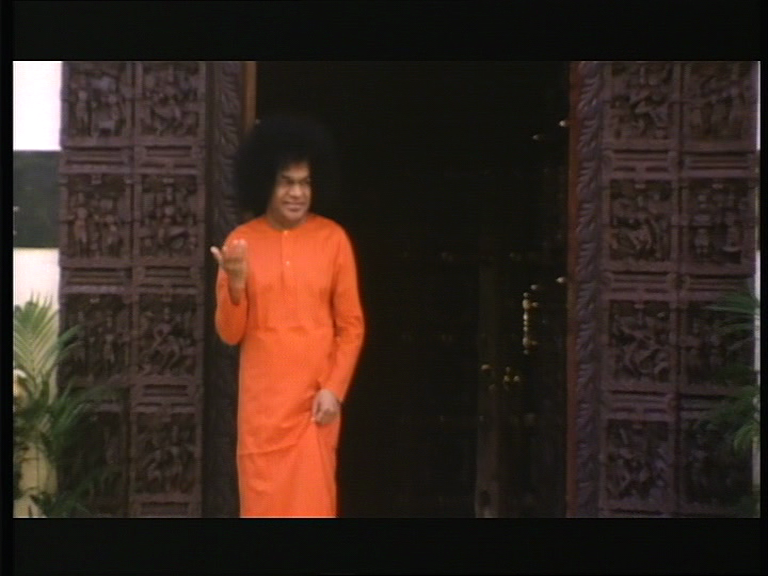 As can be gleaned from the photo above, used by the networks to entice viewers to watch the whole week, Sathya Sai Baba’s image figured center stage. This picture is in my opinion a perfect illustration of the double entendre in the title ‘Enlightened or made Light’. Was Sathya Sai Baba enlightened, a god-man, an avatar even, or was he one of the greatest con artists ever, one who made light of so many of us ‘mere mortals’? Whatever the answer, he featured prominently during the whole week, specifically through a regular rerun of the Dutch feature-length documentary Sathya Sai Baba, Als in een spiegel (1993). This YouTube clip gives a quick impression of the wide range of documentaries shown, from orthodox christian cult figures to hindu and spiritist ones and, last but not least, a shorter feature on the debunking efforts of the so-called rationalists. Below screenshot stems from early on in the international version of this highly controversial movie. 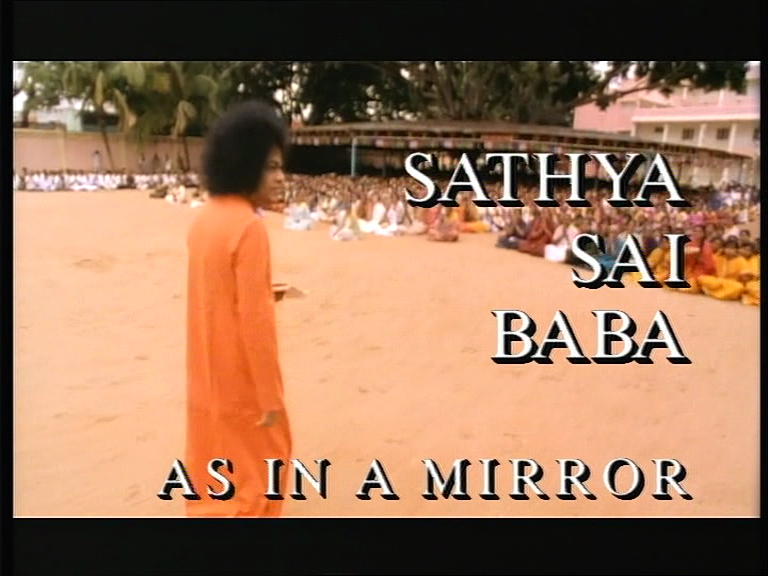 This next screenshot highlights the international version’s title, Sathya Sai Baba, As in a Mirror, a literal translation of the Dutch ‘Als in een Spiegel’, in reference to Corinthians 1-13. The whole feature can, I intend, be viewed on this blog in the near future, in its entirety (1 hour and 32 minutes). In this YouTube fragment a few characteristic elements are shown. Other subjects during this in-depth cultweek on Dutch television were the Bhagwan (Sri Rajneesh) movement, as seen through the eyes of a young child (now a grown woman), who was part of it through her mother’s involvement, and got sexually accosted by grown men in the Amsterdam commune, among other things (Title: ‘Communekind‘). As the Netherlands per se was concerned, a documentary on ‘Lou de Palingboer’, a charismatic Christian prophet in the fifties and sixties, was of strong interest, I thought, as it made clear in a nutshell the internal makings of this type of leader, and its following through time. Lou, a simple, uneducated palingboer (i.e. an eel fisher and seller), had an epiphany back in 1927 and turned seer and mystic, with at first a close but tiny group of believers. He and his wife propagated the idea that he could walk on water, and maintained he could not die, as he was God himself incarnated. This tiny cult movement gradually turned into a nationwide following, which lasts until now, fifty years after his sudden demise (due to untreated pneumonia). His followers did not want to believe he had died, and tried to revive him by laying their hands on him and forming a human mattress to keep the body warm. Only after more than four days they lost hope of his resurrection. Still, they maintain to this day that Lou is alive, and vehemently deny all rumours and reports that he slept with young girls and boys and other women besides his own wife, because he was ‘pure’ and was beyond sexual desire because he had lost all ego. The similarities with Sathya Sai Baba are to some extent quite striking, I found, just as in the examples of the most famous of Dutch faith healers, Jomanda, and of the American cult leader Dan Gayman (Children of Israel). One common denominator in most of all documentaries was the constant, unrelenting and very unloving attack on former cult members/ followers, which seems so in contrast with the general message of these kinds of movements. It is as if all who left are ‘of Satan’, no matter how founded their step and how well underpinned their critique.